NASHVILLE –Eleanor Ann Moore, age 80, died November 20 in Nashville. She was a resident of Park Manor Independent and Assisted Living Community. Born November 10, 1938, in Martins Ferry, Ohio, to Arnold (Skeets) Moore and Ruth Wilson Moore, she was preceded in death by both parents. She graduated from Smithfield High School, Smithfield, Ohio, in 1956 and received a Bachelor’s degree from Franciscan University of Steubenville, Steubenville, Ohio, in 1960. She then came to Nashville to work at the Methodist Publishing House in the Department of Youth Publications, Division of Curriculum Resources, taking a leave in 1964 to earn a Master’s Degree in biblical studies from Scarritt College for Christian Workers. She returned to the publishing house in 1966 to work as an editor in the Department of Adult Publications, again taking a leave in 1984 to earn a Master’s degree in Christian education from the Methodist Theological School in Ohio (Methesco) in Delaware, Ohio. She was consecrated as a Diaconal Minister of The United Methodist Church in 1984. 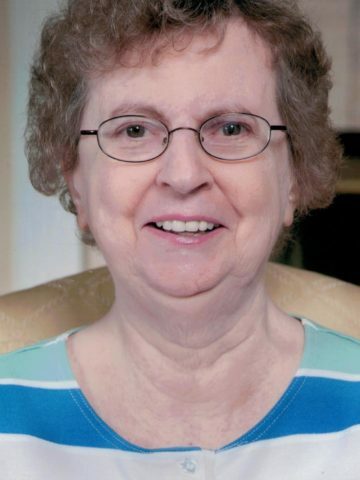 Upon her return to Nashville from Methesco, she capped a 43-year career at the now United Methodist Publishing House as editor of Adult Bible Studies. In this capacity she was for many years a member of the Committee on Uniform Series of the National Council of Churches of Christ USA, a body commissioned to design Christian literature used by a variety of Protestant denominations all over the world. A memorial service will be held 6:00 p.m. Friday, November 30, 2018 at Blakemore United Methodist Church, 3601 West End Ave., Nashville, TN. Visitation with the family will be held on Friday 1 hour prior to the service from 5:00 p.m. until 6:00 p.m. at Blakemore United Methodist Church. Interment will be held at Riverdale Cemetery in Martins Ferry, Ohio. A friend to many through her work and a blessing to know. Her dedication to work and family touched many unseen lives. God received a well-deserved servant into the Kingdom of Heaven. NASHVILLE –Eleanor Ann Moore, age 80, died November 20 in Nashville. She was a resident of Park Manor Independent and Assisted Living Community. Born November 10, 1938, in Martins Ferry, Ohio, to Arnold (Skeets) Moore and Ruth Wilson Moore, she was preceded in death by both parents. She graduated from Smithfield High School, Smithfield, Ohio, in 1956 and received a Bachelor’s degree from Franciscan University of Steubenville, Steubenville, Ohio, in 1960. She then came to Nashville to work at the Methodist Publishing House in the Department of Youth Publications, Division of Curriculum Resources, taking a leave in 1964 to earn a Master’s Degree in biblical studies from Scarritt College for Christian Workers. She returned to the publishing house in 1966 to work as an editor in the Department of Adult Publications, again taking a leave in 1984 to earn a Master’s degree in Christian education from the Methodist Theological School in Ohio (Methesco) in Delaware, Ohio. She was consecrated as a Diaconal Minister of The United Methodist Church in 1984.Upon her return to Nashville from Methesco, she capped a 43-year career at the now United Methodist Publishing House as editor of Adult Bible Studies. In this capacity she was for many years a member of the Committee on Uniform Series of the National Council of Churches of Christ USA, a body commissioned to design Christian literature used by a variety of Protestant denominations all over the world. Services will be held at Blakemore, United Methodist Church, 3601 West End Avenue (add date and time). Interment will be at Riverview Cemetery, Martins Ferry, Ohio. It is unfortunate that I was not notified as I would have liked to attend. Aunt Ruth and Cousin Eleanor will always be remembered by my children for their visits and exchange of Christmas cards. I enjoyed hearing of their work and travel adventures in the yearly newsletters they sent out. My visit with Eleanor 2 years ago was enriching. I have found memories and regret that I could not have spent more time. They would know me as Mary Ann Horner married to George Horner of Wintersville, Ohio.